Jacksonville offers a great blend of outdoor appeal. It's got terrific beaches -- in fact, some 21 miles worth begins just a dozen miles from downtown. Other attractions include golf courses and hiking and cycling trails. The city's cultural scene is vibrant. Jacksonville is also a great family destination because so many of its attractions are kid-friendly. And, finally, Jacksonville (and surrounding areas like St. Augustine) boasts something that few Florida ports of call can -- there's a lot of nearby history. Ships currently dock at Jaxport's Dames Point Cruise Terminal (9810 August Drive), although the city is looking to build a new cruise port. Dames Point is about a 15-minute drive from downtown, and even closer to the airport. You'll need a car for this port, but within a very short drive are fast-food places and nearby Yellow Bluff Fort Historic State Park is a good place to roam among the oak trees and Civil War relics, if you have extra time on your hands. As with any big city -- and Jacksonville is very large geographically -- use common sense to keep safe. Don't flash valuables or walk around alone at night. Locals suggest avoiding the northwestern area of the city at night. Parking: There is a parking lot that lies adjacent to the Dames Point terminal and parking fees are on the Web site). As an option, those who plan to spend a pre-cruise night or two in the city should check out hotels that offer cruise packages which include free or discounted parking for the length of your cruise and transfers to the cruise terminal. Taxis: Taxis line up at the cruise pier. 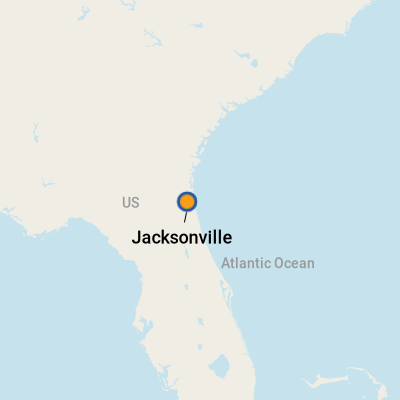 Rental Cars: Because Jacksonville and its neighboring sites-to-see are so spread out -- at 840 square miles, Jacksonville is geographically the largest city in the continental U.S. -- this is a good place to have a car handy. Budget, Avis and Hertz are among companies with rental facilities at the airport. Currency is the U.S. dollar, and ATM's are readily available. At Jacksonville Beach, Joe's Crab Shack boasts such specials as Samuel Adams Steampot and The Bean Town Bake, and even has a gluten-free menu. Open daily 11 a.m. - midnight. (6 Beach Boulevard; 904-249-6160). A "Don't Give Up the Ship!" t-shirt from Adams Class Naval Ship Museum Store (904-647-5177) in Jacksonville Landing. 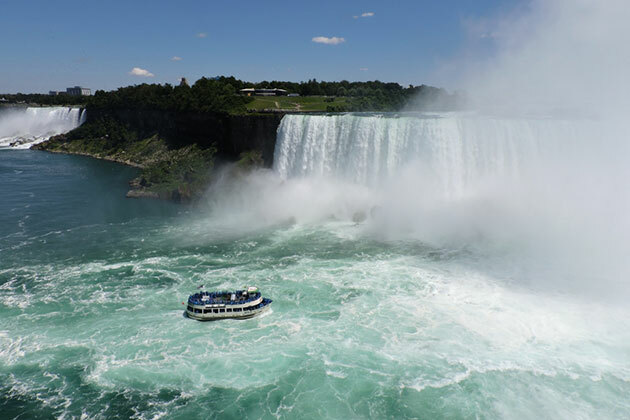 Cruise Critic's primer on Great Lakes and Niagara Falls cruises. 10 Best Cruise Homeports in the U.S.